At the bottom of each of our reviews, you’ll find a rating. Across our history, we’ve rated films either a score out of 10, or more recently an alphabetic rating from A to F. Even more recently we’ve added A+ and B+ to our rating system. 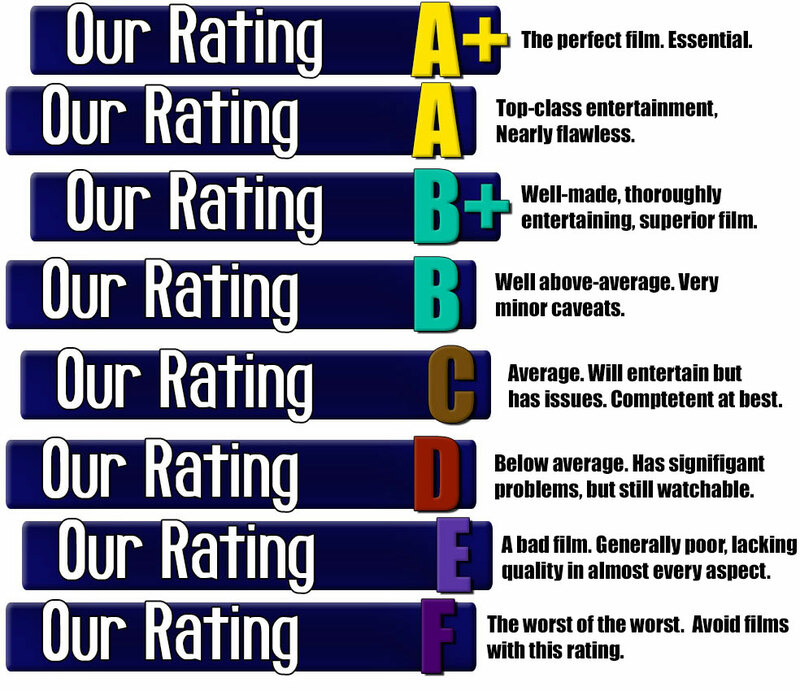 Below is an idea of how we rate films, and what you can expect from a film with a given score.